2 Things I’m Obsessed with This Summer! This summer is kicking off-to-be a HOT one so far! To beat the heat and stay cool, I’ve been seeing a lot of girls in the city wearing textured, slightly disheveled top knots. That’s not so new, but what I’ve seen them accessorising with is! This leads me to the first thing I’m obsessed with which are these “Athens” double braided, leatherette headbands from dearelli.com. What’s great about them is the price! They’re a steal at $10 and they come in a variety of colors from metallic to neon. I personally like the idea of wearing two at the same time for more of an impact. The site has some unique and inexpensive hair accessories to add something special to your next updo. The second thing I’m obsessed with is Oribe’s Dry Texture Spray. It’s my go-to product when working with hair that is too clean and soft. It creates an amazing foundation to do a variety of looks. It builds body, adds volume and creates texture to limp hair and also absorbs oil at the root. The other great things to note is the amazing fragrance and that it leaves no powdery residue! So, try the two things together. 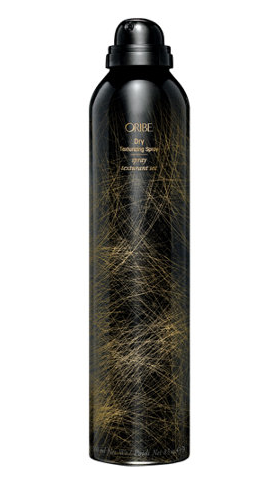 Spray the Oribe spray throughout, from roots to ends and gather into a high ponytail. 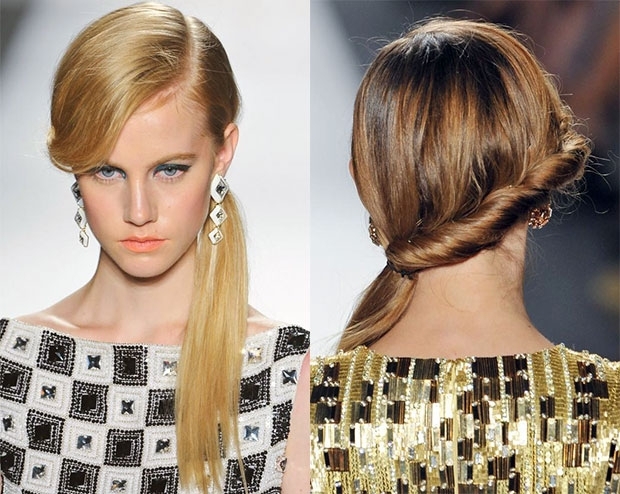 Next, lightly back brush the ponytail and loosely twist around the base of the ponytail and pin into place. Finish off with one or two of the “Athens” headbands. That’s it! It’s clean and fresh and current! That’s your July Hair Fix, enjoy!